IS IT OK TO DO REIKI ON SOMEONE WITHOUT THEIR PERMISSION? I teach in my Reiki I classes that in order to do Reiki on others, you must have their permission first. Yes, this is how I was taught by my teacher, and this is what I hear from many other Reiki teachers as well. But I’m a bit of a rebel and believe in questioning what I read, learn and hear. However, I’m also very careful and respectful of people’s boundaries and free will. So, I’ve been contemplating this particular question for years until I’ve come to a conclusion that feels right to me. It’s up to you to find what feels right for you. I pray this blog will help you with that looking at some different points of view. I have also included at the end of this blog, links to other blogs on this same topic with other points of view. If this is an important topic to you and you want more information to help you formulate what feels right for you, then please read more. But, then, sit with your higher self and formulate what truly feels right for you. That is always what counts most. Yes, I ask permission and only do Reiki when I have permission. But, read on, because it’s just not that simple. Even though at the professional level of Healing Intuitive that I am, I am able to talk to people’s higher selves and get permission that way, I still rarely do this. I truly feel this is for the most extreme situations only, such as: coma, someone trapped in a mine or somewhere we cannot communicate with them or other severely extreme situations like those. Only then do I sit in trance and talk to their higher self to get a yes or a no. Then I also say a special prayer before hand such as: “I am sending this Reiki with love. This person may take as much, as little or none, it is up to them. I respect their soul’s wishes completely and I fully and completely let go of the outcome.” I rarely find a need to do it and I much prefer verbal buy in. I also always get verbal permission from children, animals and most especially family members. This is a picture of my son receiving Reiki from me a few years ago. We are most likely to have deep emotional connections when working on family members which are much harder to release effectively and therefore permission is of utmost importance. I fully respect my family’s ability to work through their own issues and to sometimes say NO to me doing Reiki on them. It’s all good and ok in the big picture. Photo the rights of Josslyn Streett and Rain Shadow Reiki, please tag my blog if you must use my photo. Here is my reasoning and then you can contemplate this question for yourself. My main reason is for respecting each individual person’s free will and also to make sure you as the channel for the Reiki, are not putting your own intentions on anyone else’s’ healing path. This is a very important step. If we feel like we want to do Reiki on someone without their permission it is good to step back and ask yourself, ‘why?’ Be honest. No one else is in on this discussion except you and your Reiki guides. If the answer is that you simply feel for what they are going through, then you may pray for them or send Reiki Blessings without permission. (Reiki has multiple symbols to send Reiki Blessings, The Power Symbol is one of them.) If the answer is more like, “They aren’t doing the steps to grief.” or “They aren’t changing and it’s hurting our relationship.” Then you might need to step back, take a good look in the mirror and do Reiki on YOURSELF. Most issues in YOUR life are YOUR issues. Reiki YOU first and foremost. As healing facilitators, we are trusted with a very big responsibility. In my opinion, it is not to be taken lightly. But, it is also not to be controlled or boxed in by other people’s beliefs, because we all must make our own mistakes and successes – that free will thing again. As a ‘healer’ we are in people’s energy fields, messing around with higher bigger stuff then we truly understand, I don’t believe any human brain can fully comprehend all levels of healing that are taking place all at the same time when we do a Reiki session. If we are doing this without permission, we are invading people’s boundaries, inflicting on their free will and therefore creating karma for ourselves to balance out again later. Maybe soon later, maybe much later. But, creating karma is not what we want to be doing as healers. This creates unbalanced karma for you mostly but can also alter their healing path and neither one is what we want. As healer we want to help, not make the process longer and more drawn out by creating karma. Ok, That Said, WHEN CAN YOU REIKI SOMEONE ELSE WITHOUT PERMISSION? This is the Rain Shadow Reiki energy healing space and I clear it with Reiki regularly. I set intentions for grounded, clean and clear, safe and sacred space each time, plus I add intentions for each individual client or event. I have had a client who suffered from extreme childhood and adult abuse, tell me that being in the Reiki in this space is the only time they have ever felt safe. THAT is a HUGE compliment to the extra work I do to keep the space sacred. It’s worth it and it works. Reiki the space, the physical space meaning a room or the space in between you and the person you are having an issue with. Your own universe space. **None of these will inflict upon anyone’s free will and create positive karma for both parties. A Reiki win/win situation. By doing these, it also helps us heal our own karma towards the situation AND help us feel like we are doing something. Many of us need to feel we are helping, this is a way to help but without actually interfering. Let’s say you are a teacher. You want to Reiki your students but know that you can’t because you’d need their permission and if they are children, their parents permission too. Too much complication. How can you work with Reiki, stay in your place of authenticity and make the classroom better without doing Reiki on individual people? Easy, Reiki the space. You can do this in person or long distance from your home if you have Reiki II symbols. Learn to find that safe and sacred space within yourself and you may not any longer feel the need to ‘save’ others. You will more easily be able to disconnect that need and allow the Reiki to flow. Trust and Faith both come easily from this space. By cleansing the space with Reiki with a positive intention such as; clean and clear, safe and sacred (one of my favorites) the energy in the room will be fresh, calm, feeling safe & clean of all ‘old’ energies; old arguments that happened the day, week or years before. 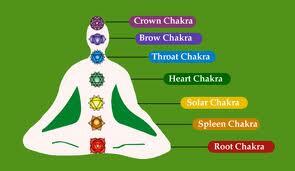 Reiki will help the space to feel clean of anxieties from test taking or sitting too long. With all these old energies transmuted to the Light with Reiki, the room and the people in it will FEEL AND BE CALMER! Without them even knowing that anything is different. They will feel it, you will feel it. Reiki the room again any time you feel it needs it or do it every Sunday night before you go to work. I like to go with the flow and listen to my intuition but sometimes it works best for me to be on a schedule. Do what feels right for you. Also, another win/win, if some of the souls in the room choose to take the Reiki that is ‘hanging out’ they may take it. This is not involving you, you are just offering the Reiki in the room and each individual person may choose on their own, to take it or not. No boundaries have been invaded, no karma created. So, they may get a healing anyway, but it is between them and their Higher Power, not you. You as the Reiki channel are just the channel. Reiki does the real work. This can be done in ANY environment safely and ethically. But, this also involves you as the channel to let go of ego. To release any outcome you might have to the Reiki being in the room. You have to work at not being connected to whether someone takes the Reiki or not. This is challenging for most people depending upon the situation and takes doing MORE REIKI ON YOURSELF. The prescription is usually, Reiki yourself more. Example: Maybe the little boy’s (his higher self chooses) who is giving you the most troubles with his behavior chooses not to take the Reiki that has been offered in the classroom because his behavior is linked to a bigger life lesson he and maybe even you are supposed to learn. We don’t know these spiritual ins and outs, but we must have faith that behind the scenes, Reiki really is doing all it can to help and support us in a way that will not change our life plan. It’s pretty important stuff if you think about it. Safe and sacred intention helps people in the room feel safe and protected, again without knowing why. This works great for children’s class rooms, group therapy meetings, doctor’s offices, psychic reading rooms, work spaces with a lot of people and of course Reiki rooms – any place where people may have some stress or anxiety about being there. ANY SPACE ACTUALLY. By the space feeling safe, the people in the space will be more grounded, more focused and more able to let go of old issues if this is needed. And they can do so in a calm and loving environment. REMEMBER, Reiki is Divine Healing Energy. Therefore, it is intelligent and knows exactly what is needed at any given time, for any person in the space, even for you. As humans, we need to get out of the way and allow Reiki to do its thing. I like to start my beginning Reiki prayer with – FOR THE GREATEST GOOD FOR ALL INVOLVED, PLEASE SEND DOWN MY REIKI…. and I know in my heart that what is for the greatest good for all of us, will happen. I’d LOVE to hear your views on this topic or how this blog helped you in some way. All loving comments written with respect are appreciated. **A blog by Reiki & Shamanic Practitioner, Jonathan Weekes who tells some true and truly beautiful stories about how we heal THROUGH our illness and difficulties to be the beautiful butterflies that we are today. Worth the read. Click on his name for the link. **Another blog on this topic by James Deacon with quite an extreme story about free will. Worth reading. Thank you James for your dedication to Reiki with ethics. **A blog by Frans and Bronwen Stiene from the International House of Reiki with what seems like a very different perspective. But, read all the way to the end, Frans and Bronwen and giving each of their students a great deal of credit for being able to detach from the situation and I respect them for that. However, their advice at the very end is…well… you’ll have to read for yourself. Click on their names for the link. I was reading an author recently who I have followed for many years and have a great deal of respect for her work. She is a world-famous psychic, been on T.V., written many books on the psychic topic and has proven over and over again just how amazing she is. I have most of her books and read and reread them. Bring your Reiki in to empower and protect you before you start reading any books, ANY BOOKS!! However, on this day, I had just a few minutes to kill, so I picked up one of her books I had not read, turned to just one chapter at the end of the book and started reading it. As I read, she talked about a topic I know a lot about energy healing. What she said, completely disagreed with what I have come to believe in my personal experience with healing work. This made me stop and go WHAO! What the heck? I was astounded. I was a bit in shock that our views on a subject would vier so opposite. For a moment, it made me question my own beliefs. It made me question my own experiences. It definitely made me reflect at a deeper level. But, then I stopped myself and sat with it. I removed the emotional component and I calmed my mind and body as I went to my inner compass, my higher self and discussed this from a higher place within me. I came to the conclusion that my own intuition and personal experience is what I have to go with, what I trust, what I feel to be true. My feelings and my inner compass have not steered me wrong, but authors who I do not know personally, and who are also human and make mistakes, cannot be my first ‘go to’ authority. My higher self knows best for me and I stick with that. Yes, I decided, it is highly possible, even probably, this author, as great as I feel she is, could simply be wrong on this particular subject. Then I remembered other books I had read where most of what I had read I agreed with. But, then I’d reach a chapter that just didn’t sit right, didn’t feel right, didn’t feel like it came from a place of Love and Light, so I put it in my proverbial trash can and didn’t take it in. This happens a lot with information I’ve noticed, a little lower vibrational energy, thoughts and words sneak in where much of the book was of Love and Light. After a while of practicing this, it gets easier and easier to trust your own intuition and not the authors. This can be applied to ALL books, magazines, reading materials. It is most important, especially at this time of the new age of enlightenment, to find our own inner compass and learn to listen to it. The best way to do this is by practicing, starting NOW. Your own intuition is always your best guidance. Guard Yourself From Too Much Input! When we are reading a book, watching television, movies or on the computer we are taking in millions of bits of new input; emotional, visual, mental, spiritual, all levels are being inundated with new input from these forms of media and it affects us on all levels. It is energy and it affects us more than we know. T.V. is especially prone to hypnotizing us and getting their messages directly into our minds. Do we really want to be taking in ALL of what we read or see? Do we completely trust the source of these books, programs, movies and commercials so well that we will just automatically take it all in? Typically we don’t take in all of it, our filters of our conscious mind is often up and working and ready to filter out what we don’t want. However, the people who make commercials and movies and Facebook posts are trained to SHOCK you, quickly get you to drop your filters and allow in their visual forms of information, without processing it. Or, even more sneaky, they appeal to our bleeding hearts with sad pictures that activate our overly emotional sense of empathy and we take it in due to being emotionally too open. This can happen all too easily because with the modern life, we are already in such a state of hypnosis much of the time, that we are highly suggestible much of the time. Being highly suggestible makes us take in more of what we see, hear and experience around us without the same and ‘normal’ filters we would have up if we were grounded. This happens more often than we realize. Unless we have filters built-in or put up before hand, you are taking much of this information into your being and accepting much of it as your truth. Reiki can help to make sure this does not happen. Sometimes this information just gets stuck in your energy field, but sometimes it actually gets taken in as a mental truth and it is much harder of a process to get it out afterwards. Either way, this energy then has to be removed from our energy field, and that takes more healing than most of us know to do. For spiritual or sensitive people this is even more of an issue. I personally do not watch the news and have not for many years because I’m sensitive to taking in these visuals and having difficulty ridding them from my psyche after the fact. I also don’t watch scary movies or shows that I feel will be too much for me to handle. The more sensitive a person is the more important it is to keep this visual, emotional and auditory energy from getting in, in the first place. Here is HOW to do it. It is quite simple and just takes a conscious intention to do it and regular practice. Hold the intention that you are filled and surrounded by Reiki Power, Protection and Support the whole time you are reading, on the computer or watching T.V. If something comes up at any time that you are not sure about or questioning, then imagine yourself holding the questions out side of your boundary field; think about it, listen to your heart and your soul and decide if you believe it or not. If you can make a decision right away then do so and be done. Either take it in or send it to Mother Earth for recycling. Practice the process as often as possible. Pretty soon it will become a very positive habit and you will be loving it. You will feel lighter and more in control of what you take in or leave out. Your energy field will not be as full of psychic smog and you’ll be able to make decisions easier, quicker and with more confidence. This process also helps you to feel much more confident in your intuition, your decision-making and your ability to read or watch shows with a discerning mind. It just feels better too, to not be taken by surprise. This ‘golden rule’ of not taking anything in that doesn’t feel right to you does not apply when you are acting out of fear. My husband brought this to my attention recently when he didn’t want to do something my guides recommended with his business. I knew it was something totally new for him and would be hard, but I also felt it was important or they (my guides) wouldn’t have told me and made a big deal about it if it wasn’t important. They don’t waste our time. He didn’t want to do the recommendation and threw my words back in my face, “But you always say, if it doesn’t feel right don’t do it.” LOL, I smiled. Thank you Divine for our mirrors and lessons, so grateful even from our closest family members. I reminded him that this doesn’t count if the reason you don’t FEEL like you want to do it is from fear or lack of self-worth or some other lower vibrating emotion. Allowing fear to stop us from moving forward on our path is only hindering us, not helping us. So, just stop and check in with your higher self. Be grounded and centered and listen to this emotion keeping you from moving forward. Is it valid or something you would be best working on with your Reiki to heal it. Be totally honest with yourself (Or a family member will be). Then move forward. I pray this helps some of you. Please let me know if you try it and it helps you. I’m always grateful for your loving comments. Congratulations to Two New Reiki Practitioners!! A BIG CONGRATULATIONS TO MY TWO NEW REIKI II PRACTITIONERS!! I can’t wait to see where these two healers go in life. If I were a betting person, I would bet they are going to facilitate a lot of healing for people who need it most. Two really amazing people, so totally different, but with many of the same goals, to help mankind. Reiki Blessings to you both!! Congratulations Jacob and Christine!! You both are AWESOME! !